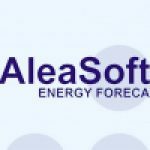 January 1, 2009-In 2008, AleaSoft reinforced its leading position as provider of electricity prices forecasting solutions, with new clients such as EON-Italy, Iberdrola, Gas Natural, Shell and BBE. AleaSoft already has a group of important customers using its price forecasting models (including Endesa, Eon-Spain, Union Fenosa and Electrabel). The product developed for electricity price forecasting is “AleaPrice”, which obtains automatic electricity price forecasting for different markets. This solution uses machine learning algorithms in the forecasting engine, capturing the dynamic nature of price setting and maintaining the models updated when trend changes occur. AleaSoft developed its first electricity price forecasting models in 2002. In the Spanish market these models are being used by major players in the OMEL market.